Are you dreaming with your perfect wedding in the sun? You dream we creat it! Let us be part and make your wedding dream come true! 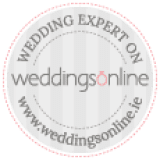 Algarve Events is a Wedding & Events company based in the Algarve, Portugal operating LDA company, specialist in creating dream weddings & events for the last 10 years, designed to exceed your expectations and desires by providing the best planning service with the greatest attention to detail. From small intimate gatherings to large and lavish parties, memorable, magical experience, perfectly planned and beautifully executed and coordinated. We are very passionate about what we do and we ensure all celebrations are exceptional. Every event is so unique and special and our wedding & event planner experts offer a personalized wedding & event planning experience to each individual couple. Choosing Algarve Events will enable you to sit back and relax with a glass of champagne in the Algarve sun, confident that we are taking care of everything according to your wishes, leaving you free to enjoy your wedding day when we will be with you every step of the way, discreetly guiding and coordinating every aspect.